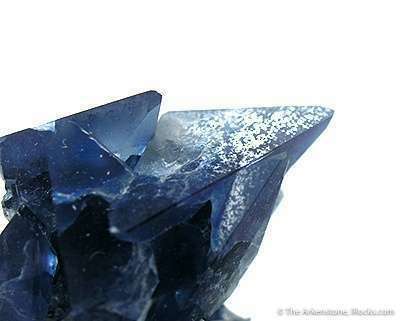 RAZOR SHARP crystals!!! 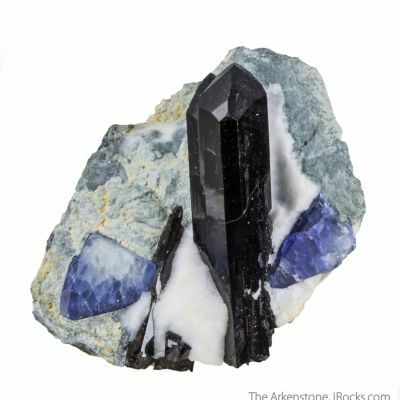 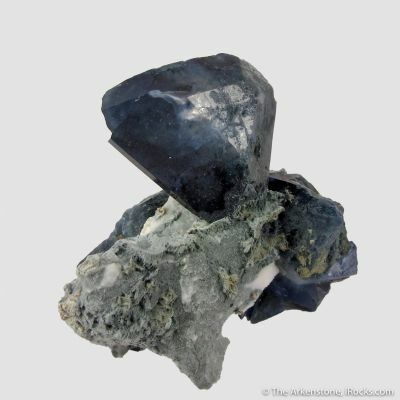 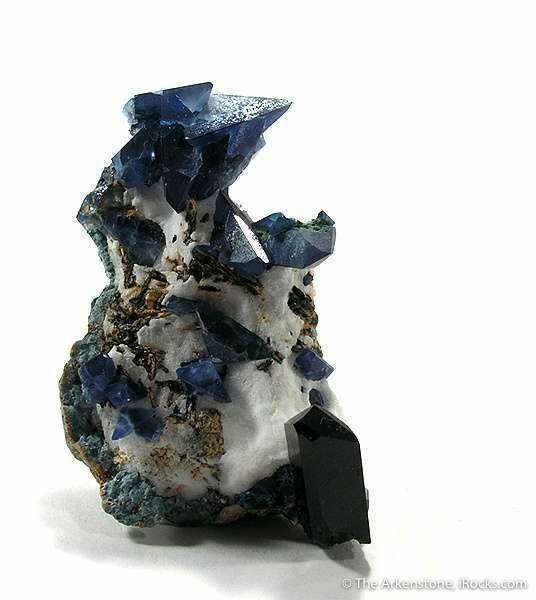 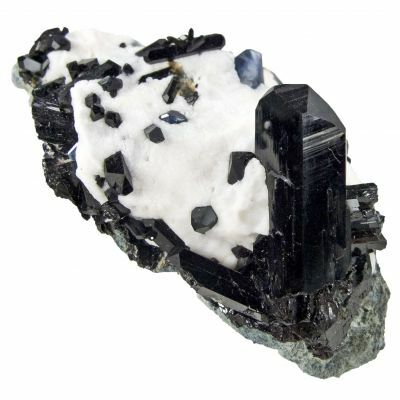 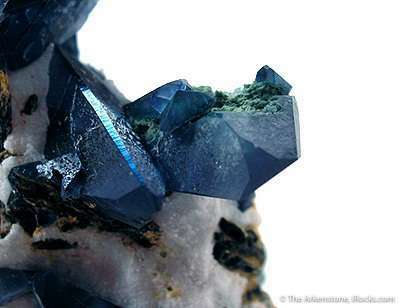 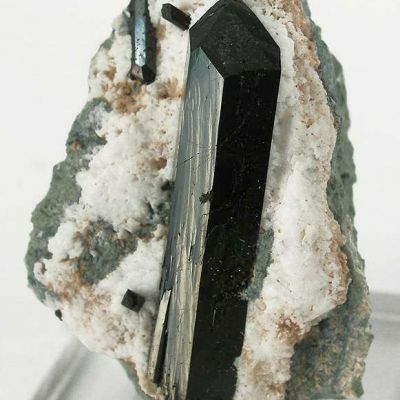 Perfectly balanced, this aesthetic combination specimen of lustrous, blue benitoite crystals and a black, crystal of superbly lustered, neptunite, represents the very best of this unique deposit - now, forever closed. 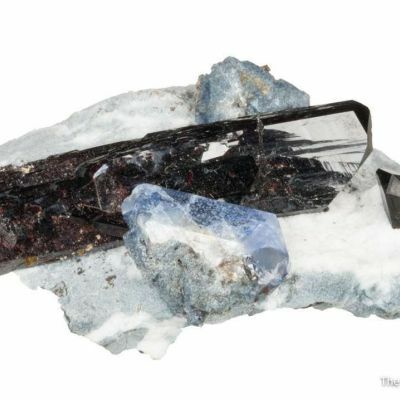 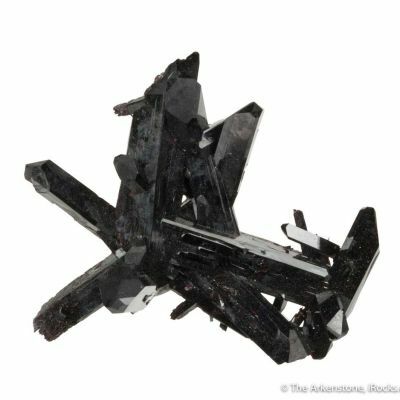 The largest benitoite is 1.5 cm in length and the neptunite is 1.75 cm in length. 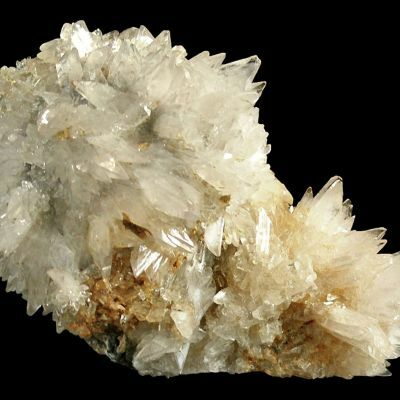 Oh, by the way, these crystals are perched on white natrolite for stunning contrast. 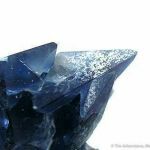 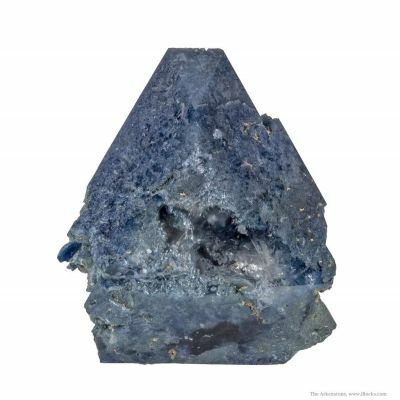 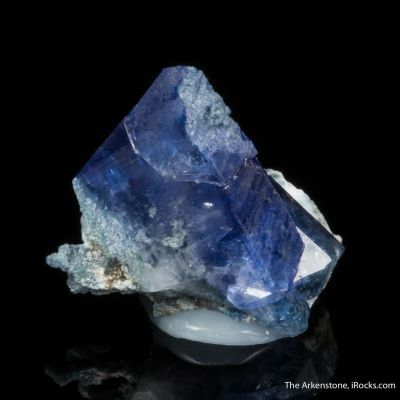 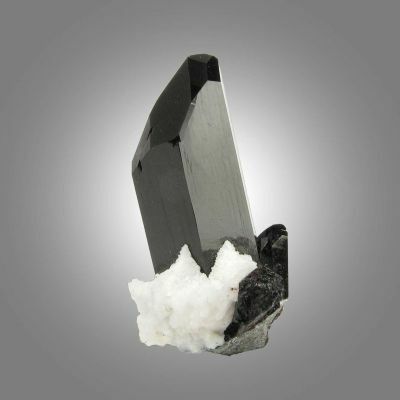 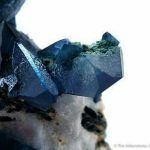 The color of the blue benitoite is top tier, and the luster of both species is very high. 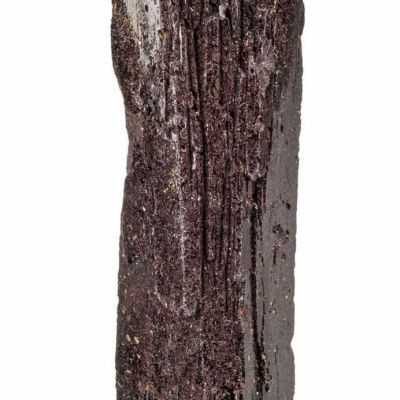 In person, you can see why Steve bought this and stored it - it is extremely fine, just that extra bit sharper and more beautiful, than most. 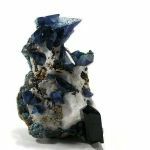 It is a top tier miniature for him and for anybody.